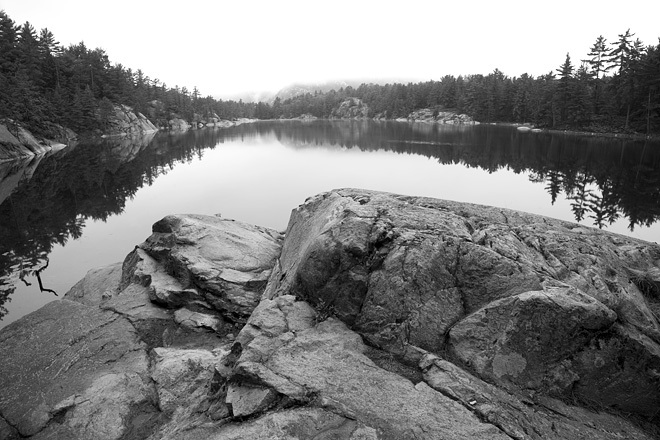 A. Y. Jackson Lake in Killarney Provincial Park. I like how the rock formation in the foreground fits into the reflection of the trees in the lake. This photo was taken at 6 AM when the lake looks like glass. A heavy fox/mist in the distance provides great contrast which makes this photo work well in black and white.